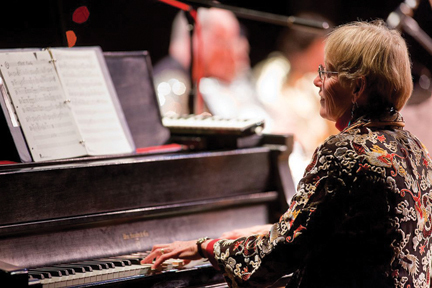 The second night in a three-event series directed by pianist and composer Lynette Westendorf, in collaboration with Terry Hunt. The final performance is on Saturday, March 28. All events will feature Wenatchee musicians Steve Sanders and Mike Conrad on bass and drums, along with Lynette and Terry on piano and guitar. Throughout the series, other local and regional musicians will be joining the ensemble, including Mike Harvey on trombone, Wayne Mendro on horns, Bob Hougham on trumpet, with guest appearances by the Pipestone Jazz Ensemble, Laura Love, and others. Various musical surprises are in store this series. In addition to the creative and eclectic compositions by members of the ensemble, one event will feature a jazz take on classical music. Watch the newspaper and events calendars for details of the individual concerts and performers. DATES: Feb 22 and Mar 28. TICKETS: $15/adults, $5/youth. LOCATION: The Merc Playhouse, Twisp. CONTACT: Lynette, 509.996.3418.